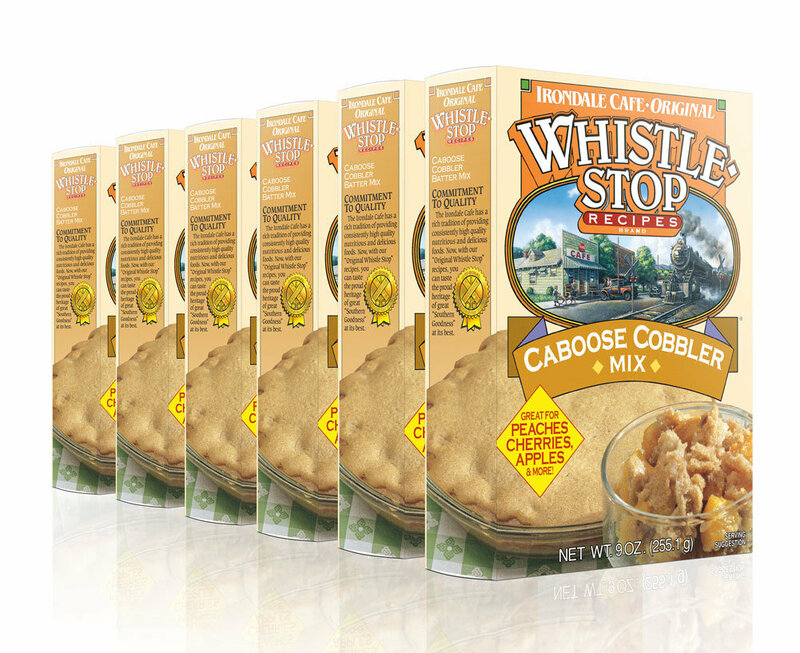 Our WhistleStop Cafe Caboose Cobbler Mix has soared in popularity due to its great taste, ease of use, and its versatility. It is a delicate blend that blends well, enhances, yet allows the flavor of the ­fruits to come through. A delicious easy to use mix that can be used with almost any fruit. Creates a delightful country fruit dessert much like grandma's cobbler, but without spending hours in the kitchen. It can be easily prepared using fresh or canned fruit. Great with Apples, Peaches, Pears, Cherries, Berries and even Pineapple. Makes a great coffee cake too! . . . just leave out the fruit. Keep plenty of this Batter Mix on hand. You never know when family and friends may drop by and you'll want to serve up some down home and delicious Cobbler from the WhistleStop Cafe.